Vitabu: When did you first hear about Ebola in Sierra Leone? Chernoh Bah: I was in the United States on a book tour. First, I was shocked by the reports and the discussion around a lack of equipment… I launched an appeal for medical supplies to be sent by friends. I mobilized support, but then I decided to go see what was happening. Vitabu: Before the news broke, you had heard nothing of this virus? Chernoh Bah: As a journalist, I had handled news reports about Lassa fever, which is equally deadly Viral hemorrhagic fever (VHF) endemic in eastern Sierra Leone. I had followed with close interest the work of Dr. Aniru Conteh and his tragic death in Kenema. So before this outbreak, I had knowledge of the operations of viral disease experts in that area, including the work of Sheikh Umar Khan. Vitabu: What did you think once you got to Sierra Leone? Chernoh Bah: What struck me was the level of devastation. The geographic size and the speed with which it claimed both lives and territory were shocking. But beyond the catastrophe, I saw many problematic questions, which were largely never answered or were being deliberately suppressed. The characteristic features of the outbreak —symptoms of the virus—were not alien to the area. They were closely related to the obvious signs and symptoms of Lassa fever, which has been endemic in the area for over three decades, [yet] these were also different from the signs and symptoms of the known Ebola outbreaks in other regions of the continent. These characteristic differences had to be explained, and this was absent. This curiosity is what led me to start looking at the situation. Vitabu: What's the time sequence of your book? Chernoh Bah: In trying to understand the catastrophe, I had to work backwards. For instance, I had to look at the conditions where the outbreak itself occurred; history of the area, recent wars, legacy of colonial exploitation, weak governments, and how such conditions serve both as factors of social and political instability, and, agencies for the operation of disasters for the fulfillment of roguish interests. My investigation goes back 500 years in establishing a connection between the West African outbreak to the history of slavery, and colonialist exploitation of Africa. It is in a way a historical study of how capitalism and the evolution of western medicine came at the expense of African lives, resources, and development. I strongly argue that you can't understand the West African disaster of 2014 outside of that history of genocide. Vitabu: What do you say to those who think the outbreak of Ebola was like say, the avian flu, like Zika? Chernoh Bah: We have to see, in clear terms, what they mean. We are not contesting the existence of VHF in West Africa. Like I said, there was Lassa fever, which was classified by the CDC [Centers for Disease Control and Prevention, a United States government public health agency] after 9/11 as a dangerous pathogen with a potential to be used as a bioterrorist weapon. Western nations deployed a significant amount of money in the study of Lassa within the same area where the 2014 outbreak occurred. How do we discuss the epidemic without mentioning those international and regional processes in viral experimentation that predates the explosion? This is just one aspect of a chain of events that makes the 2014 outbreak different from the historical epidemics recorded in the history of the last five hundred years. 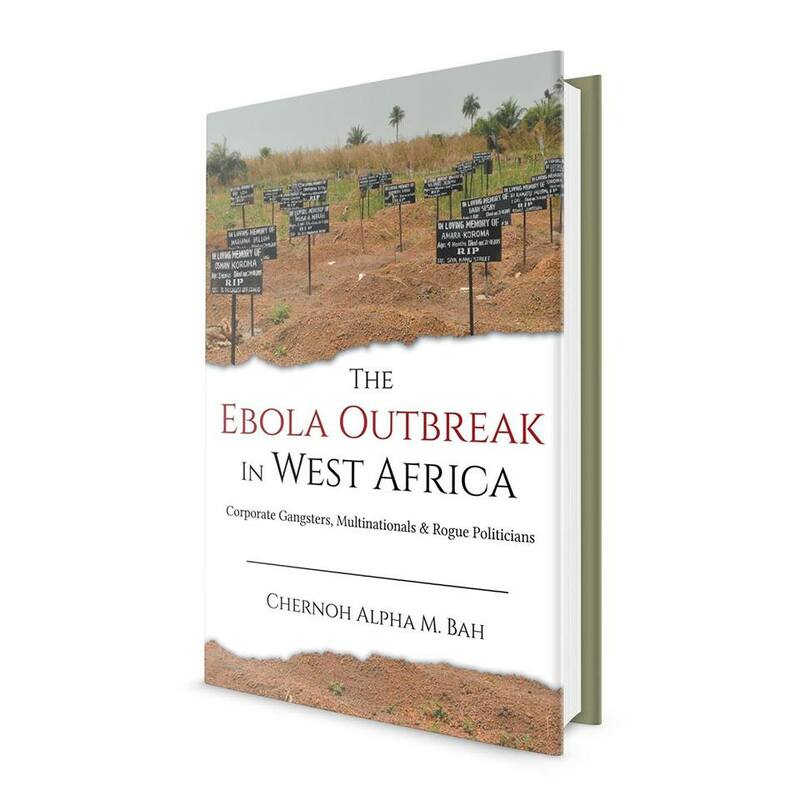 Bah presents an in-depth investigation that challenges the official narrative surrounding the origin and transmission of the 2014 Ebola epidemic—one of the most catastrophic tragedies in the 21st century. In his book, Bah demonstrates with hard evidence that the western narrative, which rashly pinned the origin of the epidemic on a two-year-old boy in a small Guinean village and implicated the backwardness of Africans as the cause for the widespread nature of the outbreak, was neither corroborated nor challenged by Western journalists and the Western academic establishment. He explores why, at the initial stages of the epidemic when thousands of men, women and children were dying, Western media had already settled upon a narrative that blamed and criminalized the victims for the outbreak's explosion. 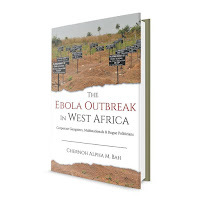 In this groundbreaking text, Bah establishes the West African outbreak as the continuation of a colonial legacy of multinational corporate exploitation, political corruption, and Western dehumanization of the African. Glaringly absent from the official narrative, he argues, is how the billions of dollars of foreign corporate investments existing in West Africa's natural resource exploitation and the strategic international military and governmental intelligence interests in the region (including billion-dollar animal-testing and deadly pathogen laboratory projects) served as the foundations for the outbreak. It is only from within this global context that the conditions of the epidemic and its widespread devastation can be properly understood.